7 tips to warming-up your SPEAKING voice. I had a radio interview this morning for WDHA's Morning Jolt on "How to Serenade your Valentine". I was scheduled to do a phone interview at 7:30 a.m. (I think most of us at 7:30 a.m. are not in our "best voice"). I found that I needed to do some vocal warm-ups to prepare for the interview, even though I was not going to be singing. 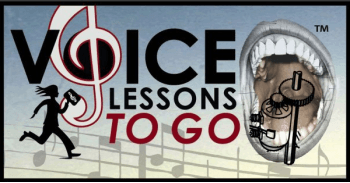 Here's 7 tips on what to do to prep your voice for important speaking occasions; interviews, lecturing, teaching, presenting. 1. Wake up at least an hour before. Get your body awake, moving and functioning. You need muscles that are alert and responsive to support the correct muscles with which you use to speak correctly. 2. Stretch and or exercise- I wasn't kidding, wake your body up. You may not have time for a full Yoga class, but do 10 minutes of something to get the blood flowing. 3. Drink something warm and have your caffeine- You want to be alert, and drinking a warm cup of liquid feels good on the throat and helps to gently get your insides to wake up. Also, have a second cup ready to hydrate during your actual speaking time. 4. Showering is good- the warmth of the steam along with the humidity of the shower is a good environment to take some deep breaths and do some Yawn Sighs, or gentle vocal warm-ups. 5. Do some breathing exercises. 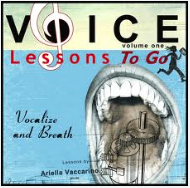 (Voice Lessons To Go v.1 Vocalize and Breath has a long group of them for you to work from). Whether taking 10 deep breaths in bed when your alarm goes off, in the warmth of the shower, during physical exercise, or before your vocal warm-ups, good breathing is everything. A good breath supports your voice and makes room for a lot of resonation in your sound. 6. Do a vocal warm-up. Start GENTLE. Don't go hitting high notes in full volume first thing. Gently, vocalize. Singing warm-ups are great to do even though you are only speaking. It is the same voice and larynx. Warmed-up is warmed-up. 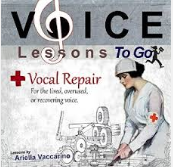 The ones on my Vocal Repair CD are perfect for early morning since they concentrate on Mezza Voce- (half voice), and don't push you fast. 7. Rest your voice a bit before you start to speak.- I find it ideal to do a warm-up and then just to let the voice sit for a few minutes. Sometimes when we do warm-ups we raise the larynx a bit, or stretch ourselves to much in a specific direction. It is good to let the voice settle into its natural space before the speaking begins. 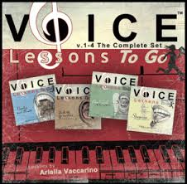 It allows time for all the levels of the voice to fill back in. The more you can do to warm up your body, the better speaking experience you will have for sure.